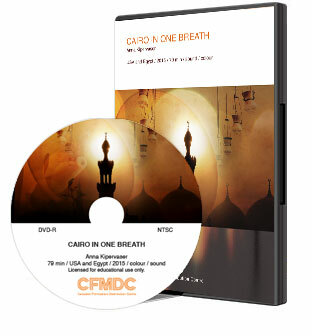 Cairo in One Breath is also available for educational distribution! Cairo in One Breath has been added to the Canadian Filmmakers Distribution Centre catalogue, and is now available for educational distribution and for screening rentals. If you would like to find the film at your University Library or to organize a screening, please get in touch with CFMDC directly or drop us a note here. CFMDC is a non-commercial film distributor dedicated to distributing works which operate not simply outside of the mainstream, but which are innovative and diverse in their origins and expressions. CFMDC was founded in 1967 by a group of visionary filmmakers with the set goal of increasing distribution opportunities, audiences and visibility for artists and independent film. Our collection is diverse, ranging from the 1950s to the present, and continues to grow steadily. We believe that works gain historical and cultural value over time and that an evolving body of work by an individual artist is important to preserve. 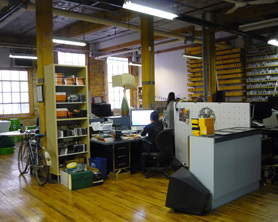 Through a unique and successful national and international distribution service, CFMDC makes its film collection available for preview, rental and sale for the purposes of research, exhibition, screening and broadcast, and for institutional and private acquisition. Our collection contains original works in Super 8, 16mm and 35mm, plus video and digital exhibition formats. Films are in all genres including drama, documentary, experimental, animation, and installation, and produced by a wide range of local, national and international artists, both established and emerging. The distribution program is complemented by an in-house Resource Centre, screening room, on-line catalogue and public events.